23.5 inches , 675 grams .May have the German Giant gene that runs in her lines.She was produced here at Rainbow Bearded Dragons. This is Rague, Father of the babies. A STUNNING Red Black eyed Trans. male. Father of the clutch. 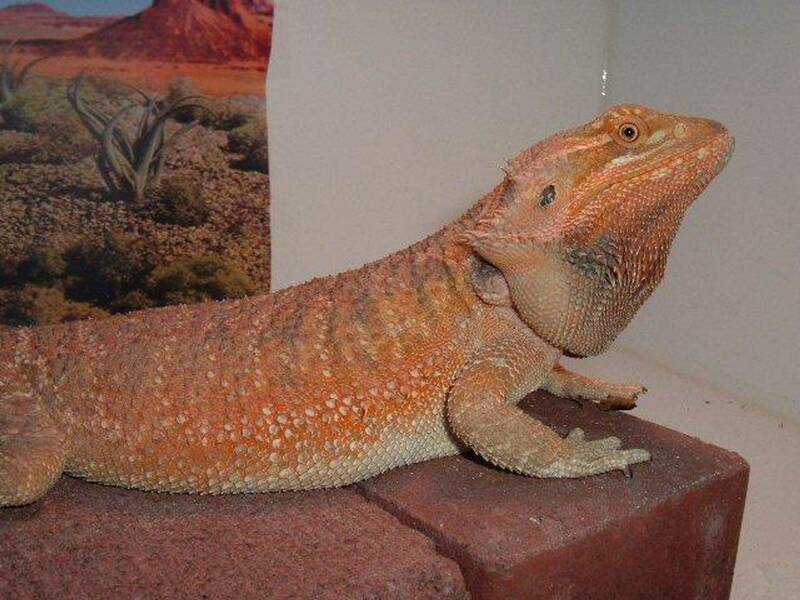 He's also 100% het for Hypo, produced by Mike Moran, Galaxy Dragons. He's 20.5 inches long now and 575 grams. I produced some nice Breeder and Collector Quality Red Translucents from this pairing in the past.Looks to be the same this year! These are either hypo or 100% het for hypo. All are Translucent and may carry the German Giant genetics that run in this line .They will get very LARGE with good care.All are eating great on 3/4 inch size crickets and Leafy greens with grated yellow summer squash all mixed together. This Breeder Q. Trans Male is #L3 He's just turning 7 months of age and is 14.5 inches long. He has get color still coming in and he's very tame, easy to handle. He's also 100% het for Hypo. Sale 255.00 plus 35.00 for shipping! To Inquire about one of my dragons. Just click on link to send an e-mail .I will need the number on the dragon you would like to get in the e-mail.Must be at least 18 years of age to inquire about the dragons. All forms of payment are accepted, including credit cards. I'm a Night Owl so late inquiries are welcomed.